Interlift 2007 exceeds all expectations! Once again it was a great experience for component manufacturers and lift constructors to participate in the world's leading trade fair for lift technology. The exhibitors built their booths with great attention to details. Those who took a closer look, could discover many innovations on the electrical and the mechanical sector. 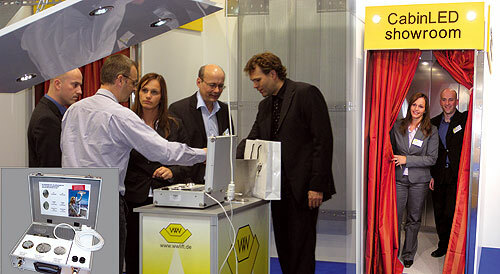 The company W+W Aufzugkomponenten also had invested a lot of time and money to present their new products accordingly. 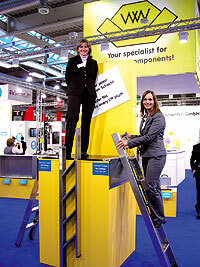 In the front a ladder podium was placed as an eye catcher, where the new ladder StufiKlapp was presented. The folding mechanism with the magnetic snap closure for keeping the ladder closed and the resulting extremely narrow construction form for the storing position in the lift shaft impressed the whole expert public. Next to the new ladder the new 4-part telescopic apron with a length of only 265mm in the retracted state was located. The special characteristics like the lack of wear, very simple handling and a prototype certification delighted the lift companies from all over Europe. One order for 400 aprons was placed directly at the fair. Besides the preceding products the main interest was on the new lamp series CabinLED. The comprehensive product range containing lamps with 3 and with 7 LEDs as well as fire proof, vandal proof and water proof lamps found a large interest. 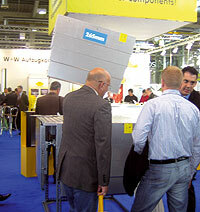 For demonstration purposes W+W even had mounted a lift cabin at the stand. More than 5.000 visitors came to see the LED lightings. Even on Friday, which usually is the day of the fair with the fewest visitors, the show cabin was permanently occupied. Many sample cases were ordered. One of the main business segments for W+W is developing and combining electro-technical components for the construction of lift controls. 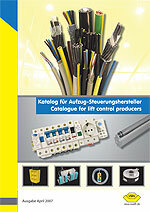 The new catalogue with 260 pages containing cables and lines, control buttons, electronic parts for the switch cabinet, shaft lightings, shaft copying systems and shaft installation systems was presented in Germany for the first time to the expert public. The feedback here was excellent as well, we distributed many catalogues. 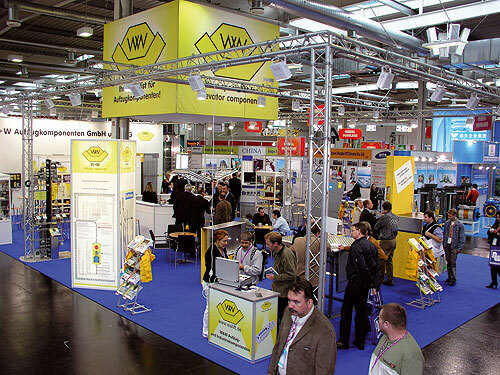 It was a big fair, there was a good and friendly atmosphere among the visitors and exhibitors. We would like to give sincere thanks to all customers and interested visitors for coming to see us at the fair. It was a pity that only few employees from the lift construction companies were there. Especially the mechanics and foremen of these companies were missed, because they always provide for a special atmosphere at the fair and often ask practical, down-to-earth questions that bring forward the whole lift industry.